Lauren has many interests and they tend to revolve around decorative styling for interiors and gardens. Throughout her years working as an artist and sourcing decorative objects and furnishings, Lauren has created a style which has gained a loyal following. Sourcing objects from the UK, France and Belgium, inbetween markets, fairs, retail outlets, artworks and commissions, keeps Lauren busy, but when she does have free time she loves visiting Country Estates, country walks and country pubs. 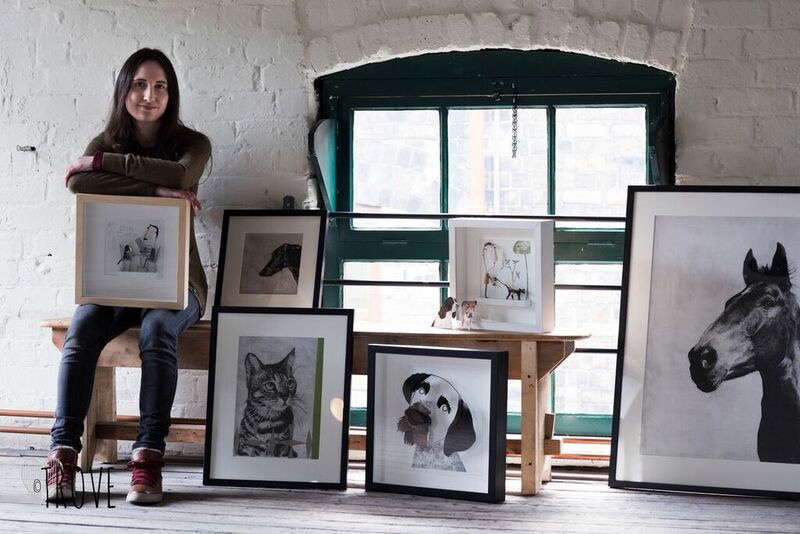 Her love of animals is also apparent in many of her artworks and commissions. Much of her work has been exhibited throughout the UK and abroad.